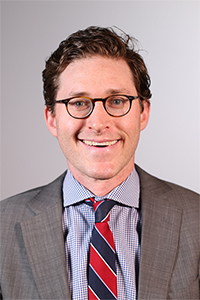 With a federal judge having just blocked the distribution of downloadable 3D-printed guns, we will begin with Joshua Horowitz, the Executive Director of the Coalition to Stop Gun Violence and author of “Guns, Democracy and the Insurrectionist Idea”. He joins us to discuss the alarming release of blueprints to manufacture 3D plastic guns over the Internet by Cody Wilson, a self-described anarchist and gun rights fanatic who had sued the State Department for restraining him from making these home-made undetectable guns available to anyone and everyone. We will look into how someone in the Justice Department not only dropped the case but awarded Wilson $40,000 in court costs and whether Jeff Sessions or Mike Pompeo knew anything about this because President Trump surely did not since today in a confusing tweet, Trump questioned whether these blueprints should have been made available to the public. Then we speak with Michael Fuchs, a Senior Fellow at the Center for American Progress who served as Deputy Assistant Secretary of State for East Asian and Pacific Affairs. He joins us to discuss leaked intelligence from spy satellites indicating the North Koreans are building new intercontinental ballistic missiles in spite of Trump’s claim that after the recent summit with Kim Jong-un in Singapore, North Korea was “no longer a nuclear threat”. With Secretary of State Pompeo admitting in recent testimony that the North Koreans were upgrading their nuclear enrichment site and stepping up production of fissile material, we will assess what the promise of denuclearizing the Korean peninsula amounts to. Then finally we examine Trump’s tweet today dismissing the billionaire conservative donors the Koch brothers as “a total joke” following the Koch network’s conclave over the weekend at which Charles Koch blasted Trump’s trade agenda and the network’s co-chair issues a statement critical of Trump saying “The divisiveness of this White House is causing long-term damage”. Alex Kotch, an investigative journalist focusing on money in politics, joins us to discuss speculation that the Koch brothers are reconsidering their almost exclusive support for Republican candidates during this midterm campaign after having alarmed Republicans earlier this year when they funded a digital ad campaign congratulating North Dakota’s Senator Heidi Heitkamp for rolling back bank regulations. Now that Trump has dissed the brothers calling their network highly overrated claiming he is a puppet to no one and that the Koch’s are “Two nice guys with bad ideas”, we will get an assessment of how much this is a signal for other Republicans to break ranks with Trump and whether fear of angering Trump’s base could be abating.